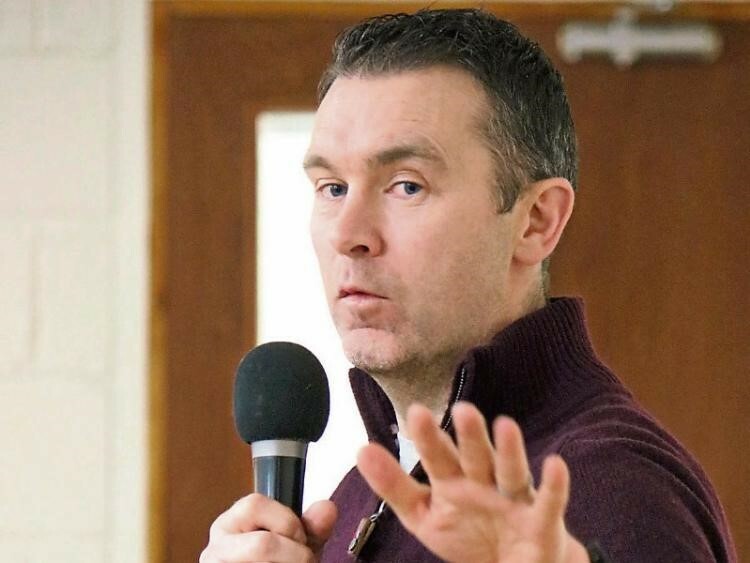 At the Annual General Meeting of Doon GAA club it was proposed that a speaker on a mental health issue be invited to address the young people in the club and in the parish. With the assistance of Kevin O Hagan, Health and Wellbeing Officer with Limerick County Board an invitation was extended to Oisin Mc Conville to visit the club. 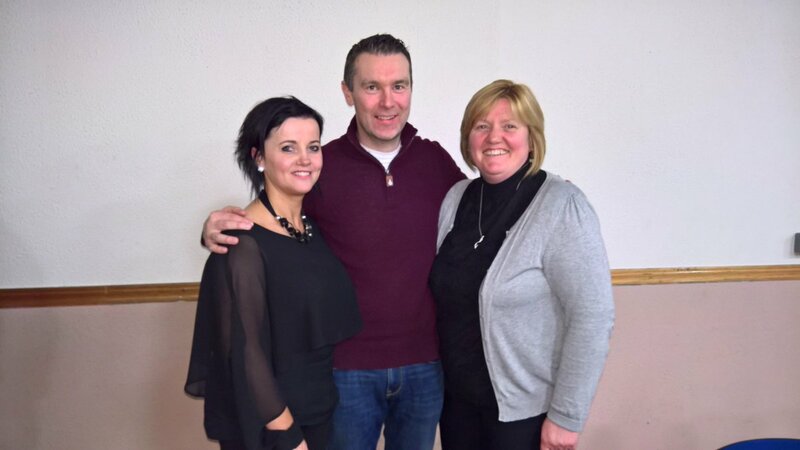 Oisín McConville was a former Gaelic footballer who played for Armagh in the 1990s and 2000s. He won an All-Ireland Senior Football Championship medal, seven Ulster Championships and a National League title with his county. It is hard to believe that on the pitch this forward was turning corner backs inside and out but off the pitch, his own life was upside down and in complete turmoil. On the 23rd of February Oisin spoke to a packed hall for an hour and a half on his enslavement to the addiction of gambling. “A lot of people, when they saw me playing football on TV with Armagh would say, there is a happy, outgoing, confident young man and the actual fact was that, inside I was completely different . I was an insecure person in a very dark place. A lot of my issues revolved around what was going on inside me. I wasn’t sure exactly where I belonged,” said Oisin. What started out as a hobby soon became an overwhelming obsession. Oisin spoke about, how in gambling he tried to replicate the buzz he felt while on the pitch but things very quickly got out of control. His debts mounted and the only escape he could find was football. There were times when the only place he felt safe was on the football field as those he owed huge money to, could not get close to him while he was togged out and playing. The final straw was when the All-Ireland winning Armagh footballer put €20,000 on a horse and it lost. He went out to his car, dug around for loose change and went back for another wager. That was how bad it got. Oisin spoke very openly and honestly about how gambling affected his relationship with everyone, in particular his parents and his family. Now 11 years later Oisin hasn’t placed a bet since thanks to the help of Cluain Mhuire, Gamblers Anonymous, his family and his own mental fortitude. He has trained and now works as an addiction counsellor. “Part of the problem today, he explained, is that there is still a stigma involved with addiction. People need to realise there is an out and there is an opportunity to get into sustained long term recovery," said Oisin. He said he was lucky enough to have been one of those people who were able to avail of the help that was out there. “When you are in a dark place you don’t realise there is help, whether that be a first port of call to a GP, a family member or a close friend. Once you have made an initial admission things get easier afterwards,” he added. Oisin spoke about gambling being the most hidden addiction of all. Referring to his experience as a gambling counsellor he stated “Those who gamble on the internet or on their phones – one of the things they will say to me is it doesn’t feel like real money, it feels like you are pushing a button and there is money out there in cyberspace. That it is not actually physically taking money out of your pocket and putting it on a horse or whatever it is”. "We are exposing so many more people to gambling through how easy it is and how accessible it is,” he said. “We are used to talking about alcohol from the point of view of familiar addiction and are less familiar with discussing gambling is a similar since. That is why it is great to have many opportunities to visit clubs and communities around the country and highlight the issue. The journey from Armagh to Doon was long but I never refuse an opportunity to meet groups and discuss the topic regardless of the distance”. Oisin continued the night with a questions and answers session where many questions were put to him about his recovery. Later he stayed back to have a private chat with people who wished to talk to him. He freely gave his contact details to anyone who wished to follow up with him if needed in the future. The event was very enjoyable and hopefully another such event with a guest speaker will be organised for early 2018.